The Rotary Club of Halifax hosted the evening for some of those who are physically and mentally challenged in our community. 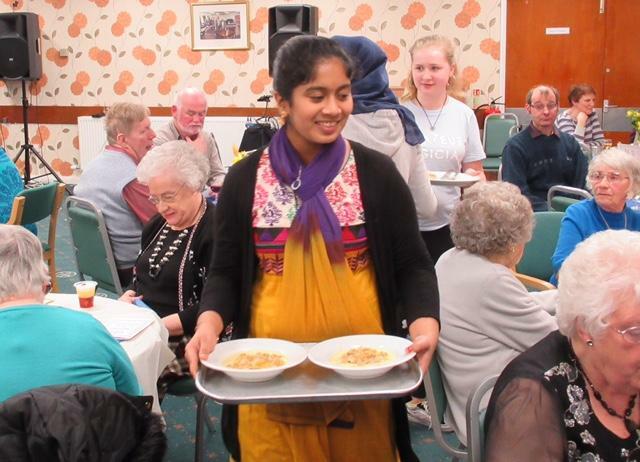 Rotarians, helped by students from Rotary’s Interact Club at Crossley Heath School, ensured everyone enjoyed a first class meal cooked by Paula Barlow, followed by bingo and musical entertainment from Nicola & Lee’s ‘Fascinating Rhythm’. Before departing back to their homes, transported by Rotarians, all guests received chocolates courtesy of the town’s sweet manufacturer Nestle. The club’s president Canon Hilary Barber was even seen on the dance floor with guests and students alike!